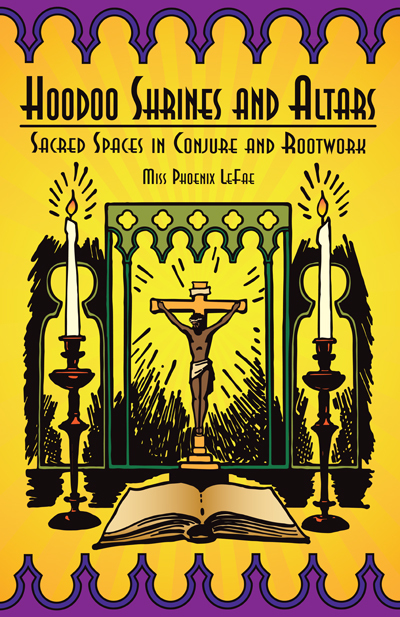 Lucky Mojo is proud to announce the publication of a new book -- "Hoodoo Shrines and Altars: Sacred Spaces in Conjure and Rootwork" by Miss Phoenix LeFae. In "Hoodoo Shrines and Altars," Miss Phoenix instructs the reader in the construction of suitable Hoodoo Alars. The book will debut at the 8th Annual Hoodoo Heritage Festival in Forestville, California, May 16th-17th, 2015, and a copy will be included in the admission package for the event, because Miss Phoenix will be teaching a workshop on how to do this work. We are taking pre-orders now. 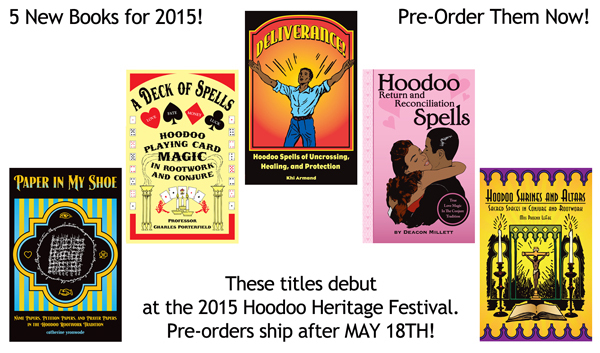 "Hoodoo Shrines and Altars" ships on May 18, 2015. Pre-ordered copies will be signed by the author. This book presents an in-depth and extremely practical hand-book on how to build altars and shrines in various styles and for various purposes. It will answer your questions -- because many of the questions asked in this forum are included in the book! I am looking forward to this book. I know Miss Phoenix from all her help on the forum, so I think this ought to be a good book. Will it be for sale at Amazon like the other books you publish? This book has been out for a while and I did not pick it up when it came out because the title made me think it is about religion. I am witchy, but not religious, so I passed it by. What a mistake that was, as I found out when I finally did buy it, after seeing many recommendations on this forum and elsewhere. This is not a "one true way" religion book at all, but it does share Miss Phoenix's ways to make altars out of all kinds of simple materials, how to place them (or hide them) anywhere, how to keep them spiritually clean and refreshed, and how to tear them down once you are done with them. The idea of temporary altars for specific spells had never occurred to me before reading this book, and now that I understand the way they are made and how to take them apart in a reverential way, I am going to be constructing a lot more altars. This book will surprise you. It sure surprised me. The cost is low, but the wisdom is very great. Thank you, Miss Phoenix LeFae.